Includes 1 Caster. Fits standard slotted plate 2-3/8″x3-5/8″. 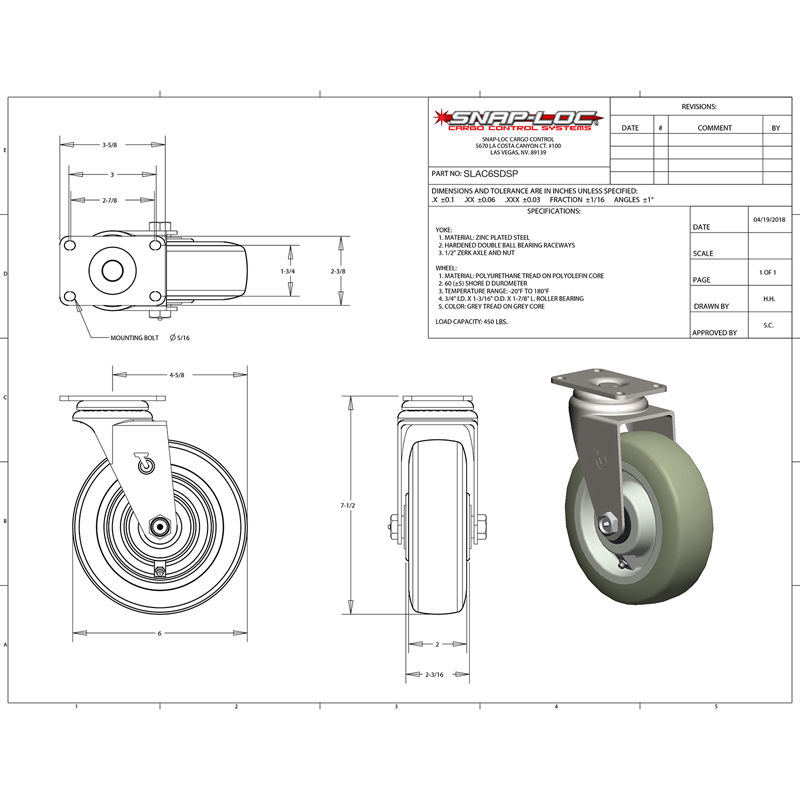 Industrisal strength casters to easily roll super heavy loads. 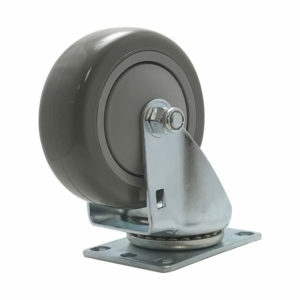 Easy rolling Super-Duty 450 pound capacity 6-inch Swivel Caster. 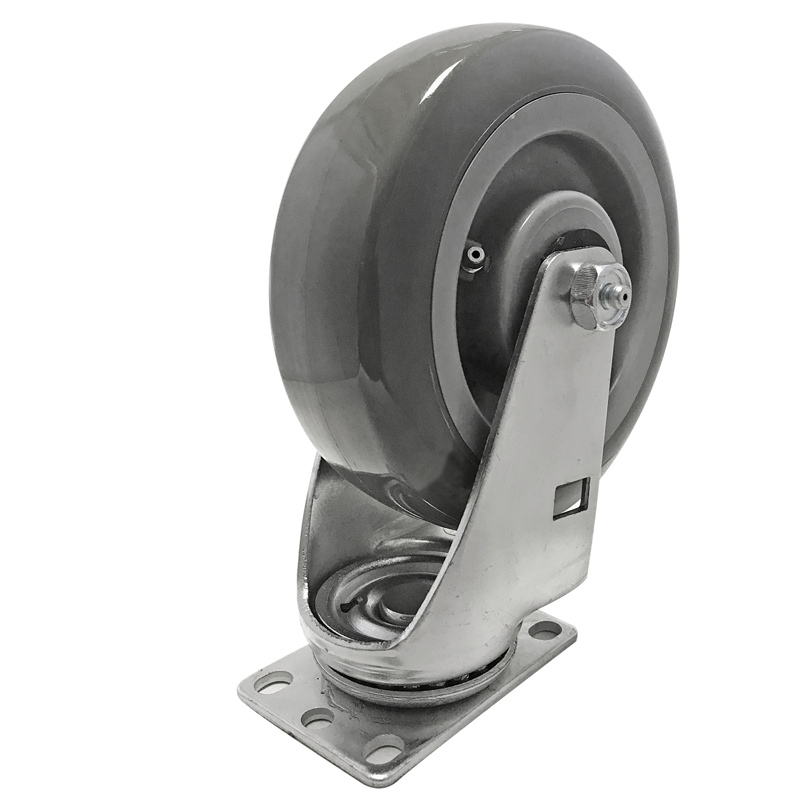 Use this Caster when you need the absolute best caster available in it’s class! 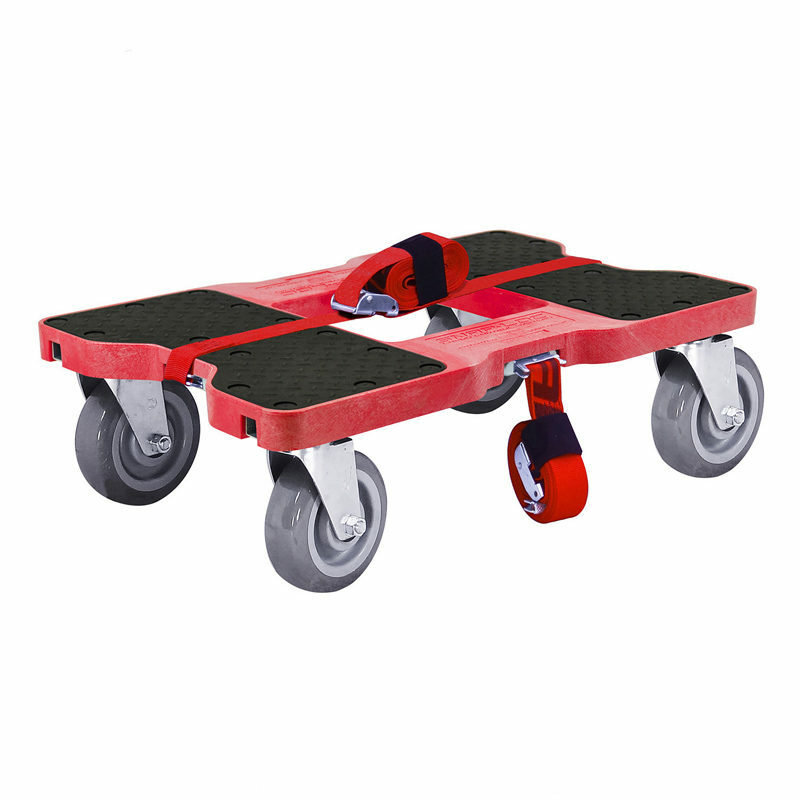 Standard size 2-3/8 inch x 3-5/8 inch top plate with 1-3/4 inch x 2-7/8 inch bolt slots on center. 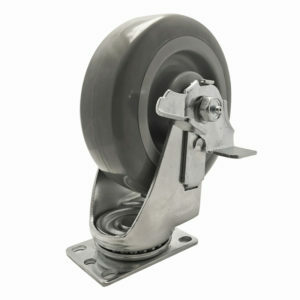 Heavy duty steel housing with ball bearings. 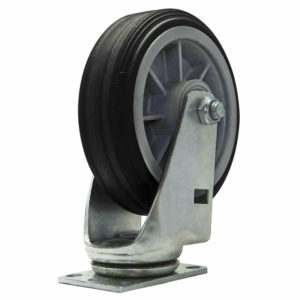 Non-marking airless 6-inch oversized polyurethane wheel with a ground contact width of 1-1/2 inch. Overall height of assembly is 7 inches. 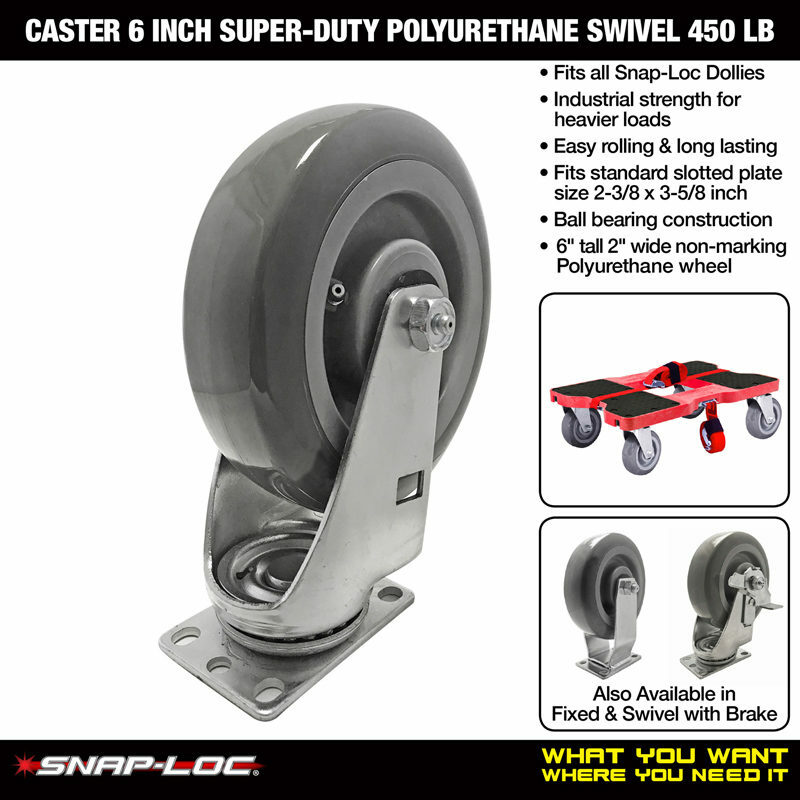 Perfect replacement caster for any standard dolly and all Snap-Loc Dollies and Snap-Loc Carts.